In previous posts I showed how we can create custom Matlab app toolstrips using simple controls such as buttons and checkboxes. Today I will show how we can incorporate more complex controls into our toolstrip: button groups, edit-boxes, spinners, sliders etc. The first place to search for potential toostrip components/controls is in Matlab’s built-in toolstrip demos. The showcaseToolGroup demo displays a large selection of generic components grouped by function. These controls’ callbacks do little less than simply output a text message in the Matlab console. On the other hand, the showcaseMPCDesigner demo shows a working demo with controls that interact with some docked figures and their plot axes. The combination of these demos should provide plenty of ideas for your own toolstrip implementation. Their m-file source code is available in the %matlabroot%/toolbox/matlab/toolstrip/+matlab/+ui/+internal/+desktop/ folder. To see the available toolstrip controls in action and how they could be integrated, refer to the source-code of these two demos. For the remainder of today’s post it is assumed that you are using one of these two alternatives whenever you access any of the toolstrip classes. The EmptyControl, Button, ToggleButton and CheckBox controls were discussed in an earlier post of this miniseries. The bottom 6 selection controls (ListBox, DropDown, DropDownButton, SplitButton, Gallery and DropDownGalleryButton) will be discussed in the next post. The rest of the controls are described below. Note that unlike the uibuttongroup object in “standard” figure GUI, the toolstrip’s ButtonGroup object does not have a SelectionChangedFcn callback property (or corresponding event). Instead, we need to set the ValueChangedFcn callback property (or listen to the ValueChanged event) separately for each individual control. This is really a shame – I think it would make good design sense to have a SelectionChangedFcn callback at the ButtonGroup level, as we do for uibuttongroup (in addition to the individual control callbacks). Also note that the internal documentation of ButtonGroup has an error – it provides an example usage with RadioButton that has its constructor inputs switched: the correct constructor is RadioButton(hButtonGroup,labelStr). On the other hand, for ToggleButton, the hButtonGroup input is the [optional] 3rd input arg of the constructor: ToggleButton(labelStr,Icon,hButtonGroup). I think that it would make much more sense for the RadioButton constructor to follow the documentation and the style of ToggleButton and make the hButtonGroup input the last (2nd, optional) input arg, rather than the 1st. In other words, it would make more sense for RadioButton(labelStr,hButtonGroup), but unfortunately this is currently not the case. A Label control is a simple non-clickable text label with an optional Icon, whose text is controlled via the Text property. The label’s alignment is controlled by the containing column’s HorizontalAlignment property. An EditField is a single-line edit-box. Its string contents can be fetched/updated via the Value property, and when the user updates the edit-box contents the ValueChangedFcn callback is invoked (upon each modification of the string, i.e. every key-click). This is a pretty simple control actually. The EditField control has a hidden (undocumentented) settable property called PlaceholderText, which presumably aught to display a gray initial prompt within the editbox. However, as far as I could see this property has no effect (perhaps, as the name implies, it is a place-holder for a future functionality…). A TextArea is another edit-box control, but enables entering multiple lines of text, unlike EditField which is a single-line edit-box. TextArea too is a very simple control, having a settable Value string property and a ValueChangedFcn callback. Whereas EditField controls, being single-line, would typically be included in 2- or 3-element toolstrip columns, the TextArea would typically be placed in a single-element column, so that it would span the entire column height. A logical extension of the toolstrip spinner implementation would be for non-numeric spinners, as well as custom Value display formatting. 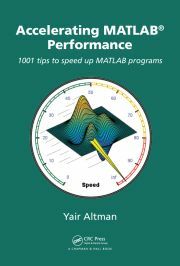 Perhaps this will become available at some future Matlab release. The next post will discuss complex selection components, including listbox, drop-down, split-button, and gallery. First of all — kudos on the amazing work. I think that the miniseries format has a substantial added-value, as one can connect the different pieces to a complete picture. Regarding this series: do you think Mathworks(c) will incorporate the toolstrip widgets into appdesigner? I mean, for the lazy—but advanced—user, it seems only natural to have these widgets without all the nuisance of placing them programmatically. It would indeed make a lot of sense for the toolstrip functionality to be added to App Designer, but I don’t know whether this is what MW plans or what the timeline for this might be. For example, MW might one day release a separate independent tool to create apps (with toolstrip, Data Browser, docking etc. ), that would not be a direct part of App Designer. In fact, MW might even decide to monetize such a tool as a new commercial toolbox. I hope MW won’t do this, but it would certainly be just as viable an option as adding the functionality to App Designer. Unfortunately, I see a hint for this direction in the fact that the Matlab Compiler Toolbox is currently prevented from compiling and deploying user-created apps (only figures and uifigures). Maybe it’s related and maybe not – I hope not, but I fear that it may indeed be. In such a case, I hope that MW would at least leave the programmatic route as part of the core Matlab. In any case, I believe it is unlikely that the toolstrip functionality will ever be added to GUIDE, because I believe MW plans to discontinue GUIDE as soon as it can get the new uifigures and App Designer to a reasonable state. This is the reason that MW never added uitree to GUIDE, only to App Designer. And this is entirely understandable, after all most R&D resources should be devoted to future tools, not outdated ones (and GUIDE is at least a decade, if not two, out-of-date). Therefore, for legacy (Java-based) figures and apps, the only option for adding a toolstrip would be programmatically. I was able to compile my ToolGroup app however the standalone executable would only open for a second display itself and then shutdown immediately. I believe this is because Compiler is prevented to do things correctly when it comes to ToolGroup apps. Or could I have done something wrong?